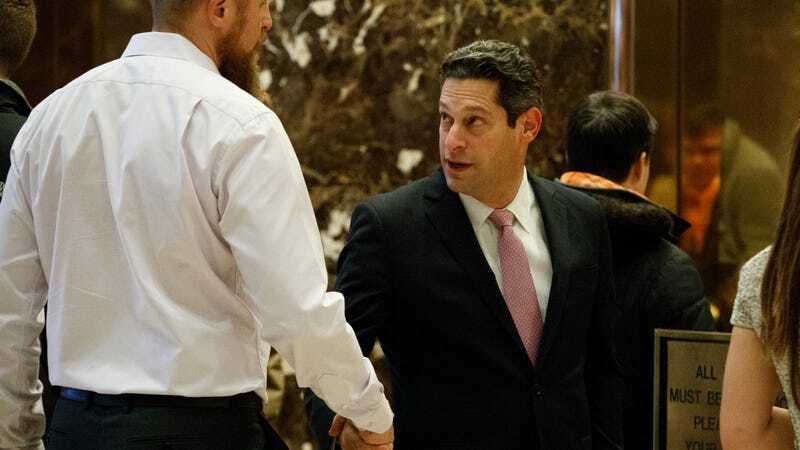 Facebook VP for global public policy Joel Kaplan meeting Donald Trump’s campaign head of digital operations, Brad Parscale, at Trump Tower in December 2016. Brett Kavanaugh was confirmed to the Supreme Court in a 50-48 vote with just one Democrat, Senator Joe Manchin, voting in the affirmative on Saturday, despite massive protests and several allegations of sexual assault by the nominee. Facebook, whose vice president for global public policy Joel Kaplan supported Kavanaugh by appearing at Senate hearings in a section reserved for the candidate’s family and friends, is dealing with the fallout. On Friday, Kaplan solemnly addressed employees at the company’s Menlo Park, Calif., headquarters, according to a person who attended the meeting. One of Barron’s sources added that Zuckerberg and Sandberg told employees that Facebook is welcome to diversity of opinion and that all staff should be tolerant and supportive of that, the paper wrote. According to CNN, a source added that Kaplan “acknowledged he erred by not telling Mark and Sheryl” about his plans to attend the hearings. An account on Axios has one employee describing the mood as “intense,” but with employees not so much angry as incredulous. Other postings on the board reflected employee anger that Zuckerberg had told staff he would not have made the same decision as Kaplan but that it did not violate company rules, according to the Times. One wrote, “I appreciate your desire to avoid taking sides, but please don’t insult our intelligence by declaring that this act did not violate our policies, or that it was only an honest lapse in judgement.” Others were angry that Sandberg did not speak publicly about Kavanaugh’s conduct, the paper reported, while yet more discussed their experiences with sexual assault and said they would not feel comfortable working with Kaplan in the future. Mr. Bosworth backpedaled after facing opposition — including from Lori Goler, Facebook’s head of human resources — who said he was dismissing legitimate employee concerns, said the current and former employees. The Times added that “current and former employees” said that Kaplan’s attendance at the hearings was not flagged as a personal day, and only later was the company’s human resources system changed to say he had taken the day off. Facebook is still slogging through an unending stream of controversies ranging from a massive hack that allowed attackers to gain access tokens to 50 million accounts to unfounded claims that it systematically discriminates against and silences conservative voices. As Slate noted, it’s clear that Kaplan (a former George W. Bush official) was on some level doing what he was hired to do: build relationships with conservative politicians, helping insulate Facebook from political consequences as it continues to swallow up more of the world’s internet. Yet it’s also clear that as the company’s stated mission of giving “people the power to build community and bring the world closer together” plays out in practice, some Facebook employees are wondering whether there’s some hypocrisy going on. A number of high-profile personnel have left the company and its subsidiaries lately, including Instagram co-founders Kevin Systrom and Mike Krieger and WhatsApp founder Jan Koum. All three were reportedly concerned that Facebook’s ambition was undermining their control of their products. As this incident makes clear, divisions over the direction of the company extend down to the rank and file.